An international bestselling book plus other tools to aid in personal or professional development. The BoxBook Club Programme is aimed at ambitious individuals who have a passion for reading and are dedicated to achieving their goals. 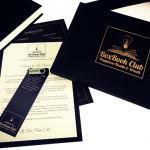 By becoming a member, each month you will receive a tailored learning package directly to your door. This unique box contains all the resources you need to help you on your development journey. There are two programmes available, our most popular ‘standard’ package and the ‘intensive’ package - aimed at avid readers. In the Standard Reader Programme you will find one bestselling personal or business development book, one USB stick containing video workshops analysing the book’s key topics. Plus, one customised bookmark and one set of cheat sheets/memorisation booklet. For double the content, choose the Intensive Reader Programme for 2 x best selling books, complete with a full learning support pack. 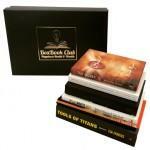 The Box Book Club is the new way of learning, with a monthly subscription being a fun, fast and engaging way to learn! 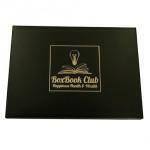 Be the first person to tell us what you think about BoxBook Club Programme and you'll save £2.50 on your next purchase!